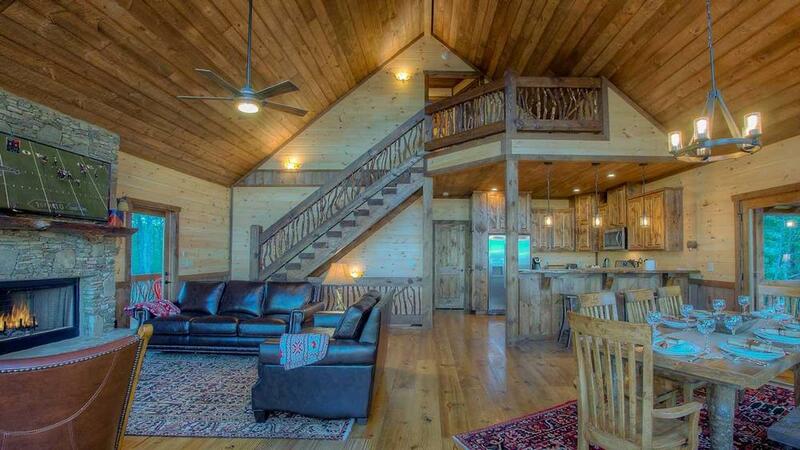 If you are seeking a Georgia mountain cabin rental designed to take full advantage of the sweeping views of the Appalachian Mountains, look no further than Triple Vista Mountain Tops. 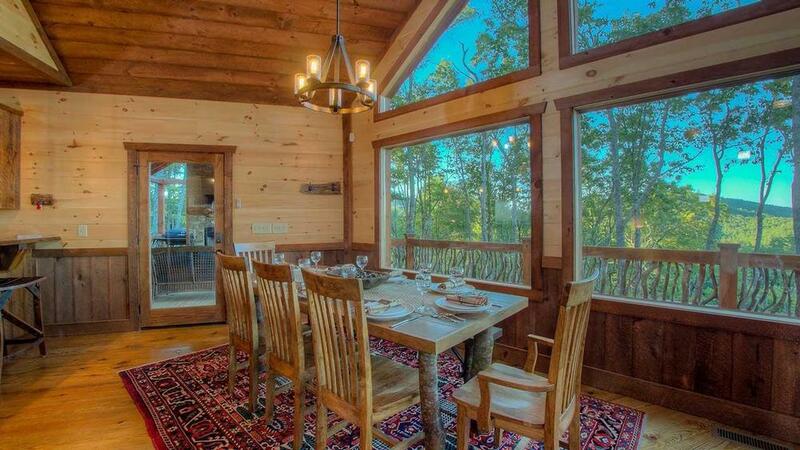 Perched high on the mountain summit and with expansive wrap-around decks and enormous floor-to-ceiling windows throughout the well-appointed cabin, the views of the spectacular sunrises, each different but breathtaking against the three distinct mountain ranges, are incomparable. 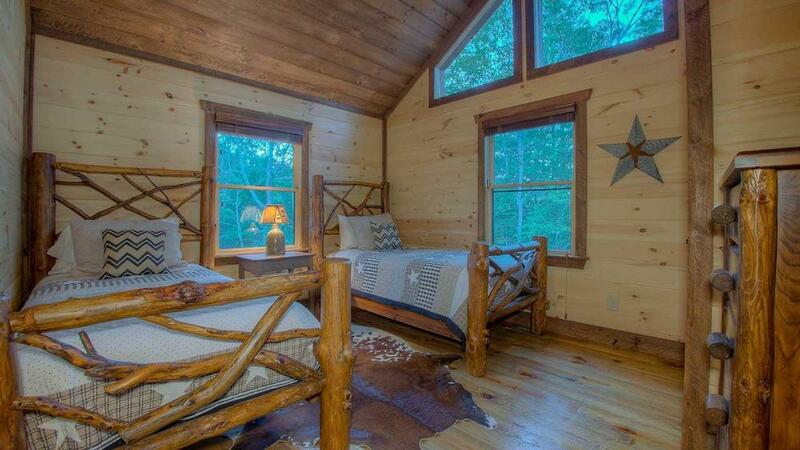 The cabin is located in the Aska Adventure Area, which offers a variety of outdoor activities including scenic hikes suitable for all ages and abilities and is less than 7 miles away from shopping and dining in historic downtown Blue Ridge. 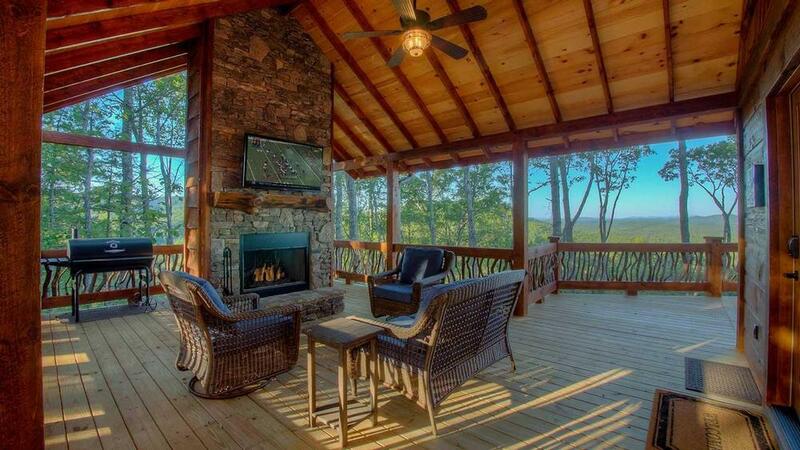 As you walk onto the sprawling deck with hand-made Mountain Laurel railings you will encounter a lovely outdoor sitting area with a comfy wicker loveseat and matching rockers arranged around a stacked stone wood-burning fireplace with TV mounted above. The adjacent area for cooking al fresco offers you both a charcoal grill with smoker and a gas grill, with a convenient side table and western-inspired raised cooler to keep cold beverages at hand. 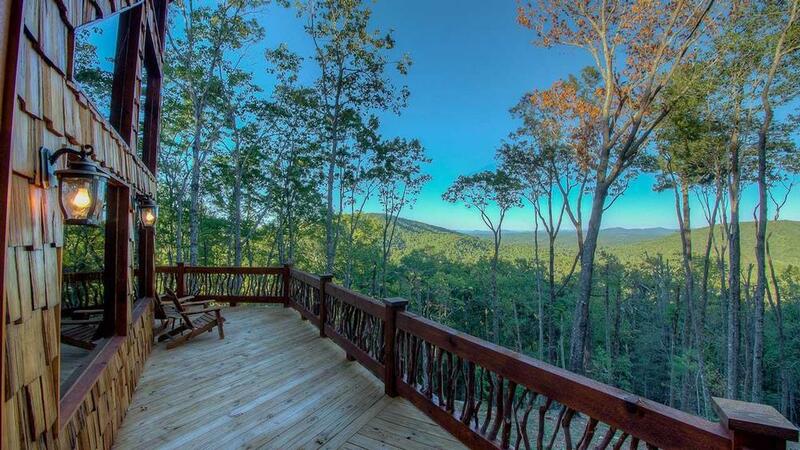 The decks offer various wooden rockers, Adirondack chairs and handmade benches for relaxing and enjoying the beauty of nature and the fantastic views. 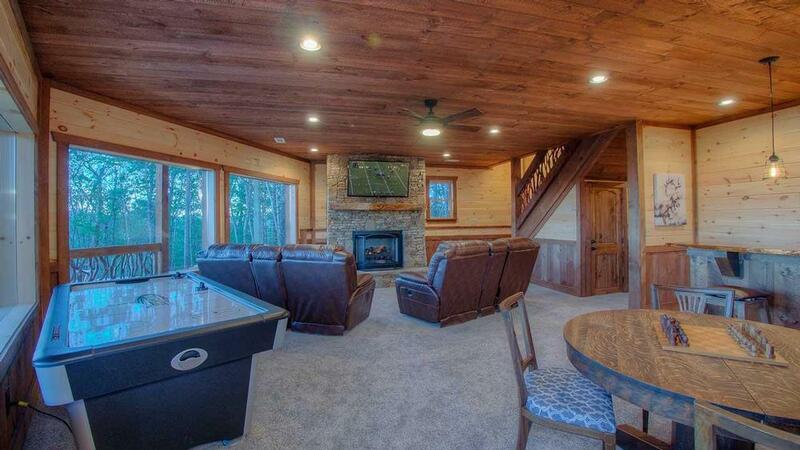 There is even a gas fireplace right next to the hot tub on the lower deck for the ultimate in relaxation after your daily adventures. 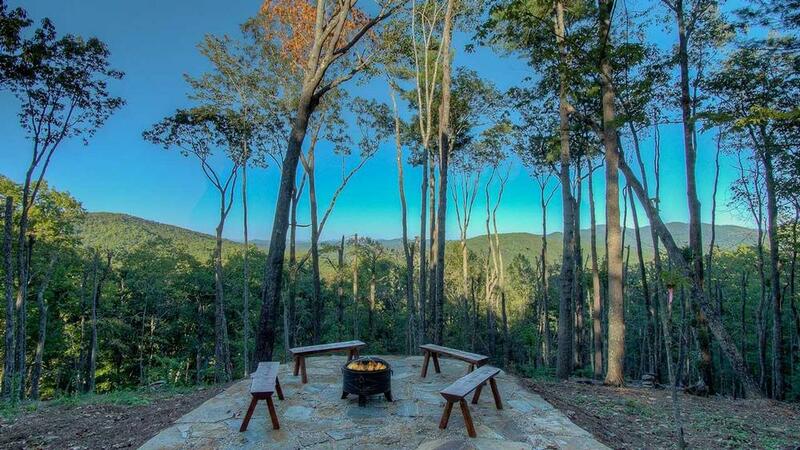 With step-out access from the lower deck, the horseshoe pits and adjacent stone-paved fire pit area invites you to gather around for legendary story-telling and s’mores. 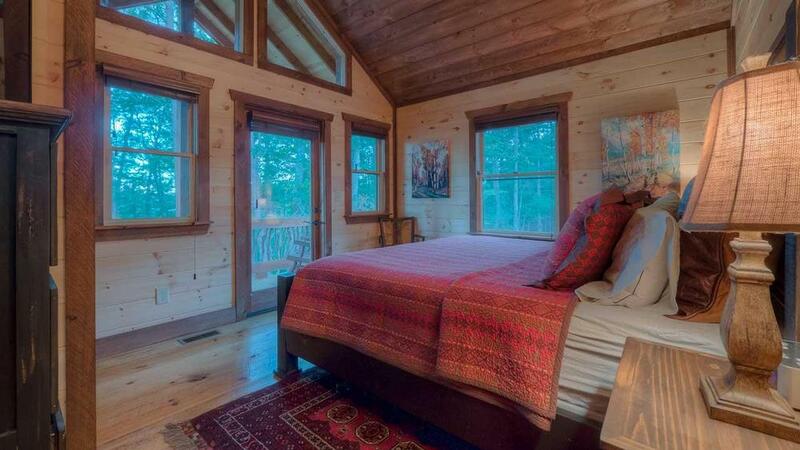 The cabin is made entirely of hand-hewn wood, emanating a rustic elegance from the moment you step in to the wide-open main level. Whether relaxing in the luxurious leather furniture by the wood-burning stacked stone fireplace in the living area, preparing your signature dishes in the state-of-the-art kitchen with handmade cabinets, glowing granite countertops, unique copper farmhouse sink, or enjoying those culinary delights at the polished, live edge wood bar and family-style wooden dining table, everyone can spread out yet still be together and not miss a memorable moment. 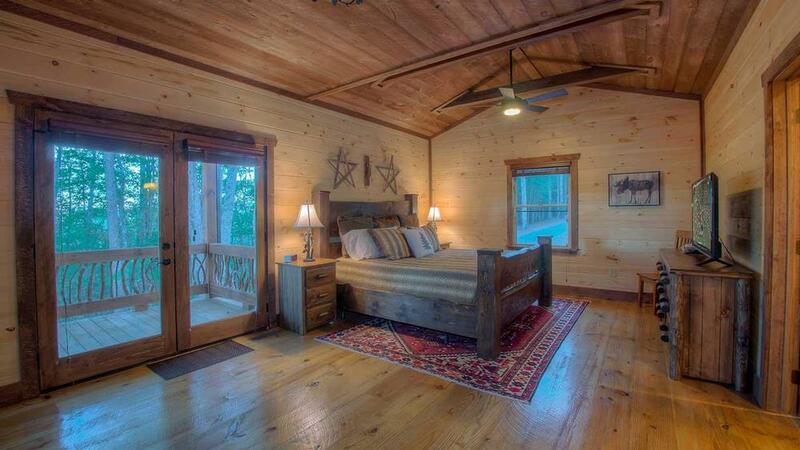 When sleep calls, the cabin offers several supremely comfortable options, including three master bedrooms that continue the cabin’s rustic theme with custom-made king-sized wooden beds and furnishings, exquisite quilts and shams, oriental rugs, ceiling fans, flat-screen TV’s and private seating and doors out to the deck. The main level master features an ensuite bathroom with an oversized stone and slate shower with an overhead rain shower head, granite double vanities and soaking tub. 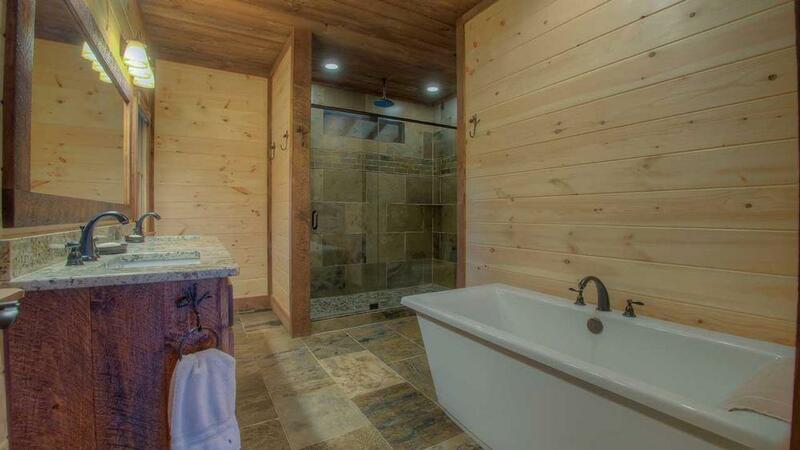 The lower master has plush carpet, an adjacent full bathroom with a slate tub/shower combo, granite vanity and private door out to the hot tub area and the upper master has a private deck with both mountain and wooded views. 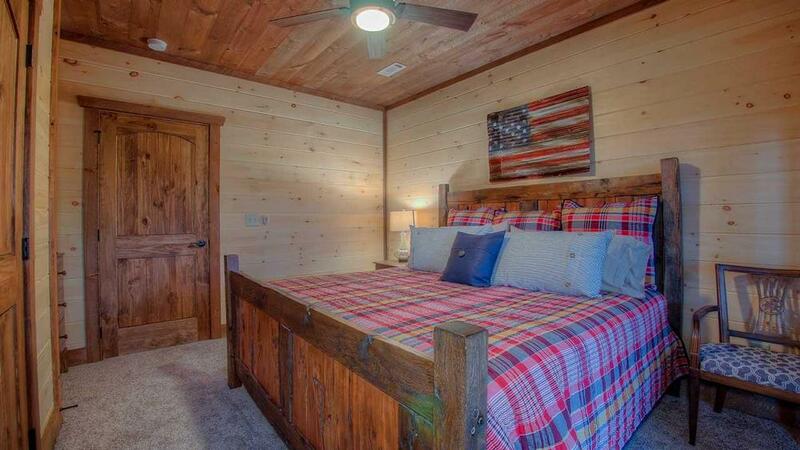 The upper level also has a Lone Star-themed bedroom with twin log beds, quirky cowhide rug and Smart TV and adjacent bath with stone walk-in shower and granite vanity. 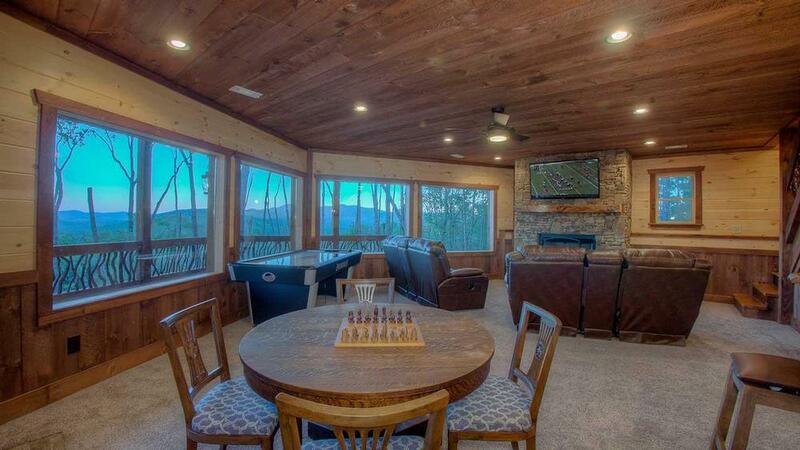 The windows that showcase the mountain views continue on the lower level in the game room where you can enjoy a movie on the TV mounted above the stacked stone gas fireplace in reclining theater chairs, compete in an air hockey challenge or play a game of poker around the game table. Sit at the expansive bar counter and enjoy a drink from the wet bar, fully-equipped for maximum convenience with a beverage fridge, ice maker, copper sink and granite counters. 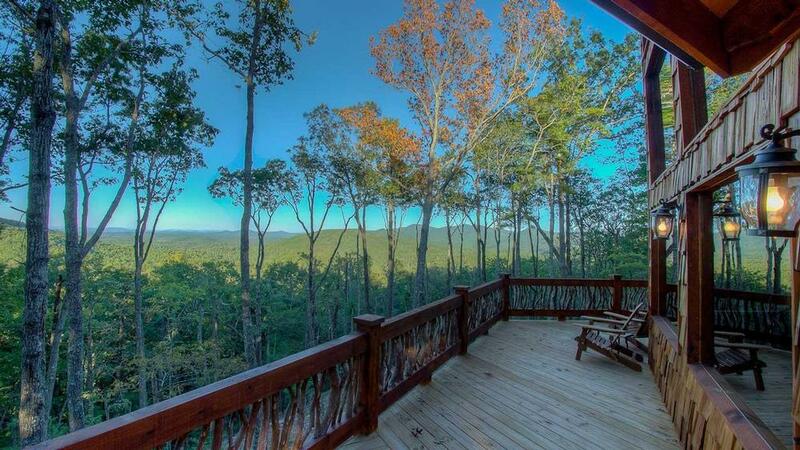 At Triple Vista Mountain Tops, you will experience complete serenity as you watch the morning clouds cover the lower valleys and the sunlight dance across the nearby and distant mountains and leave feeling refreshed and longing to return to this paradise in the woods. 02/19 - Amazing view from the top of the mountain! We loved the A frame wall of windows to look out from the main room. It rained a lot so the covered hot tub and outdoor fireplace saved the trip! 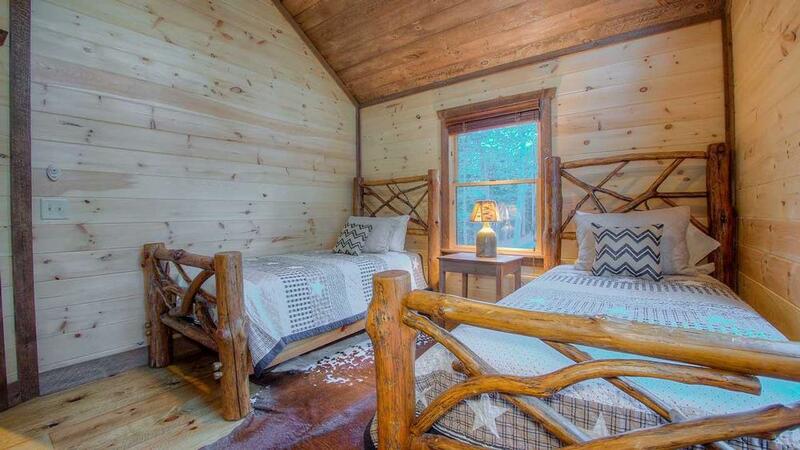 The cabin was superbly clean and interior decor was upscale. 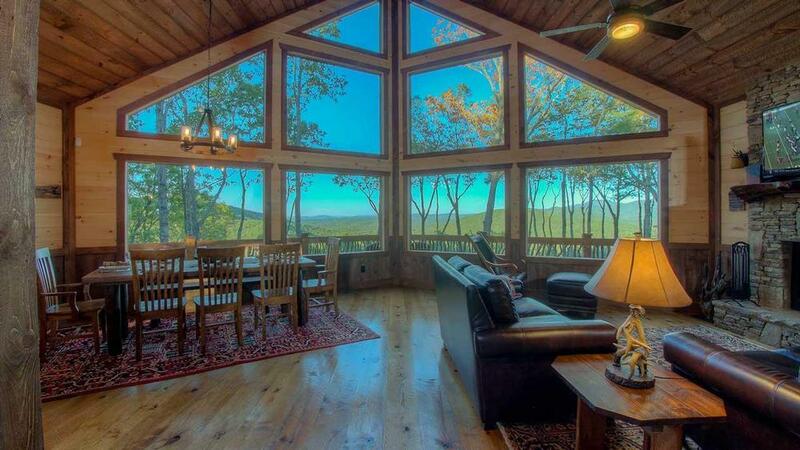 Escape to Blue Ridge is fabulous. We've been renting from them for years and will continue to do so! 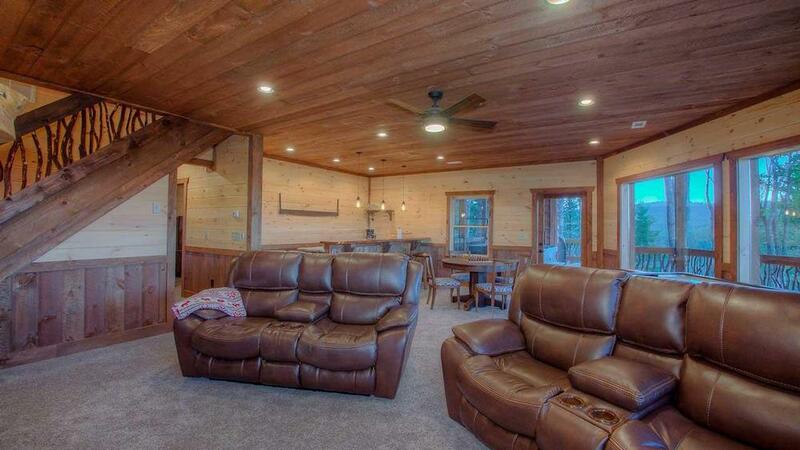 01/19 - Great Cabin. New construction and well appointed. Great views as well. 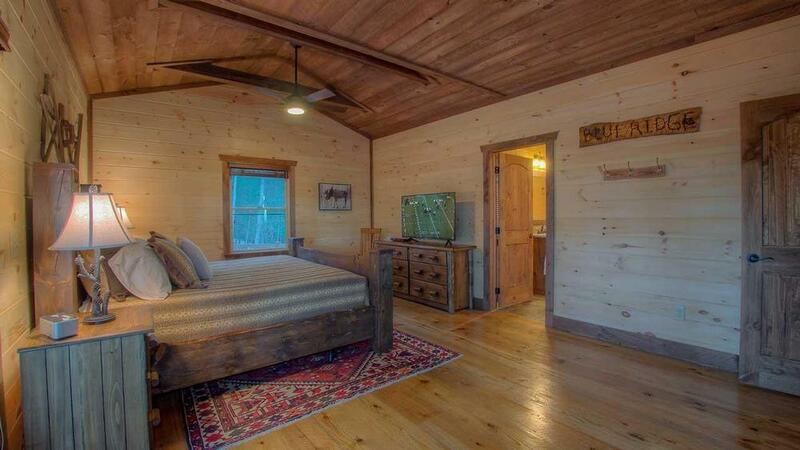 The cabin exceeded expectations. 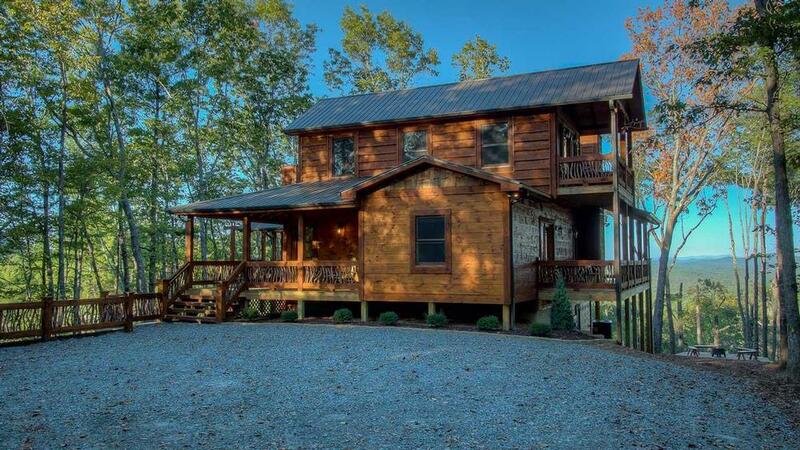 Escape to Blue Ridge is the best company we have used for renting in North Georgia. The little things like quality towels and sheets make a huge difference. 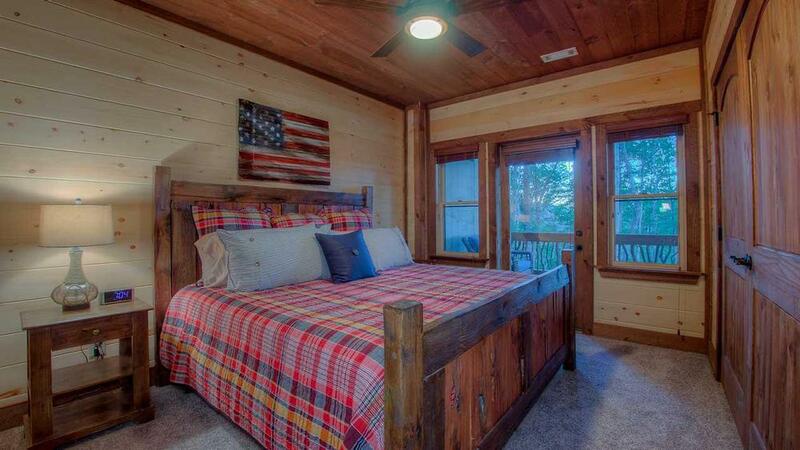 12/18 - The cabin was exactly as depicted, everything perfectly in order and all clean. Loved every aspect of it, will definitely get back in touch in the future, thanks! 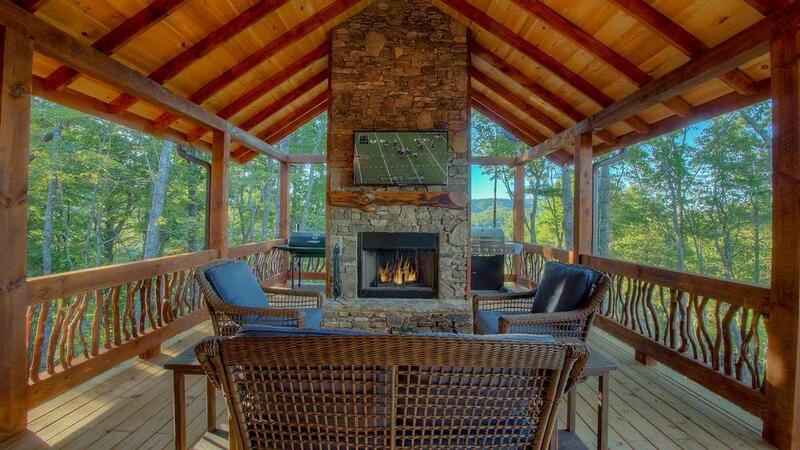 11/18 - We love the outdoor fireplace with TV. The rooms were spacious and the downstairs was nice. 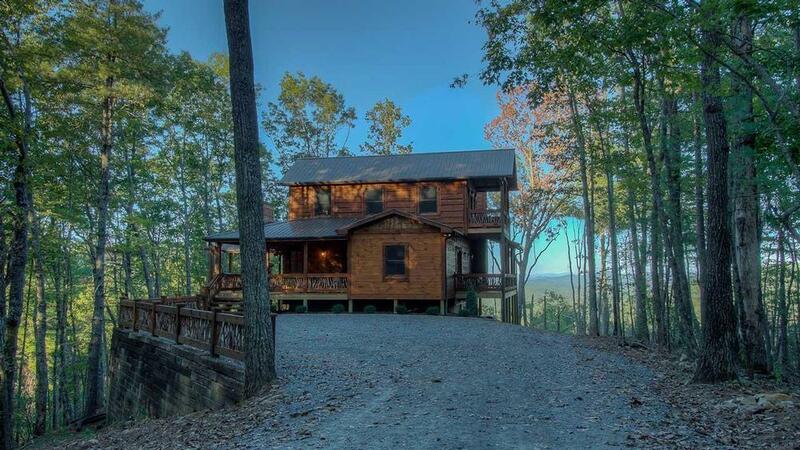 We love using Escape to Blue Ridge for our cabin rental every year. I think we've been renting for almost 10 years now. 11/18 - Mountain View, Outside Space, Kitchen Fully Supplied, Location. Excellent. We have booked with you a number of times and are always satisfied. Thanks! 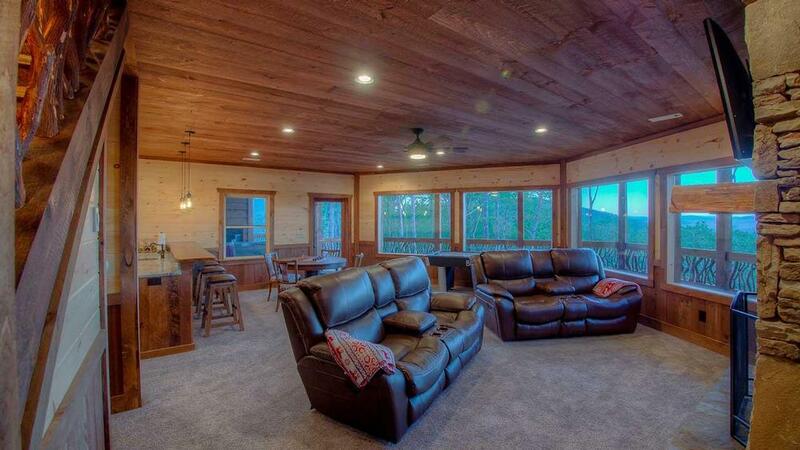 10/18 - The cabin was very spacious even for eight people and with all the seating areas everyone had their own space. Very easy to work with and very accurate in your description of the property. I have used Escape to Blue Ridge in the past and will continue to in the future. 07/18 - Incredible views and amazing sunrises over the mountains. 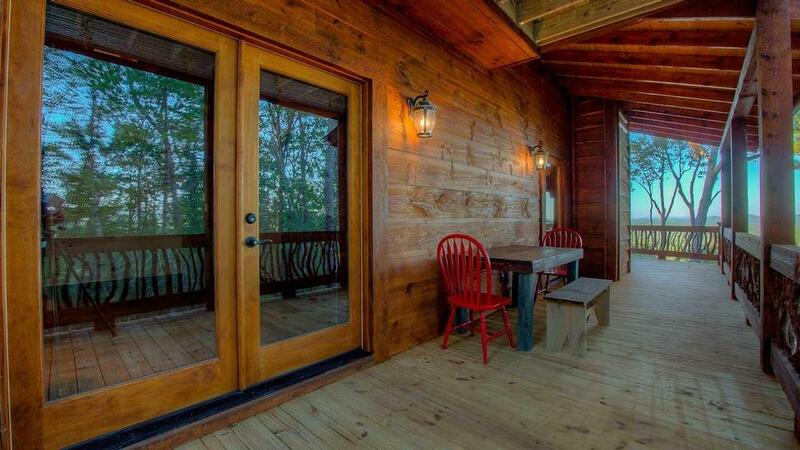 The outside decks are so well laid out and extend the beautiful interior. House is well equipped with everything you need. A great location and easy to find. Have booked with you many times and have always been satisfied. 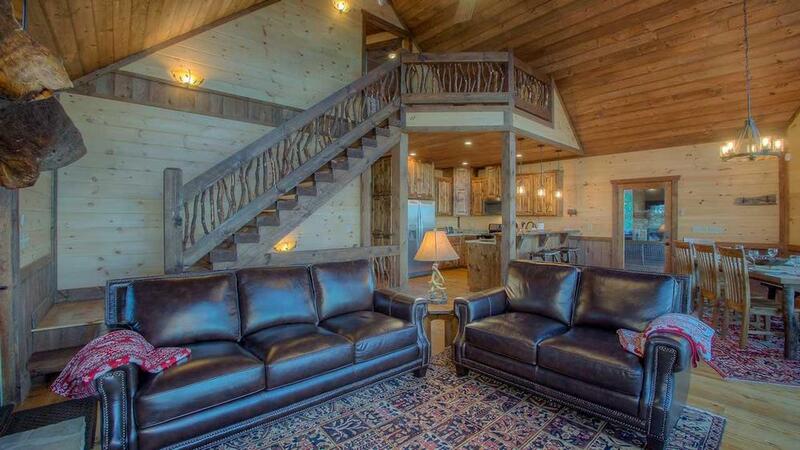 07/18 - The size of home is very accommodating for a large party. 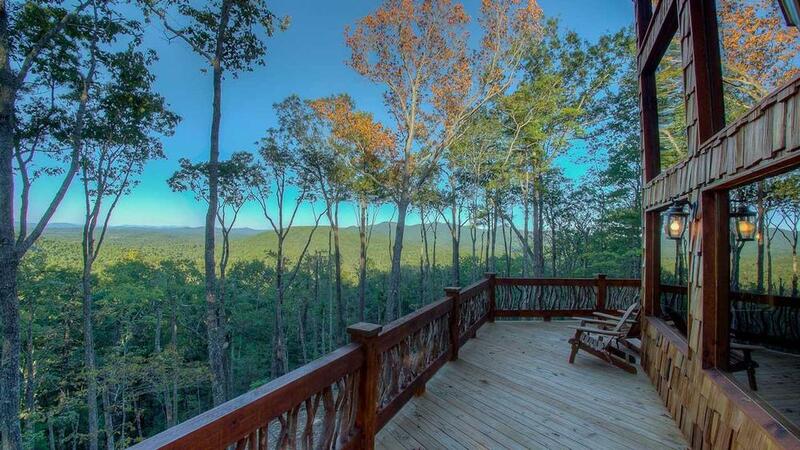 My third time vacationing with Escape to Blue Ridge and they always exceed my expectations. 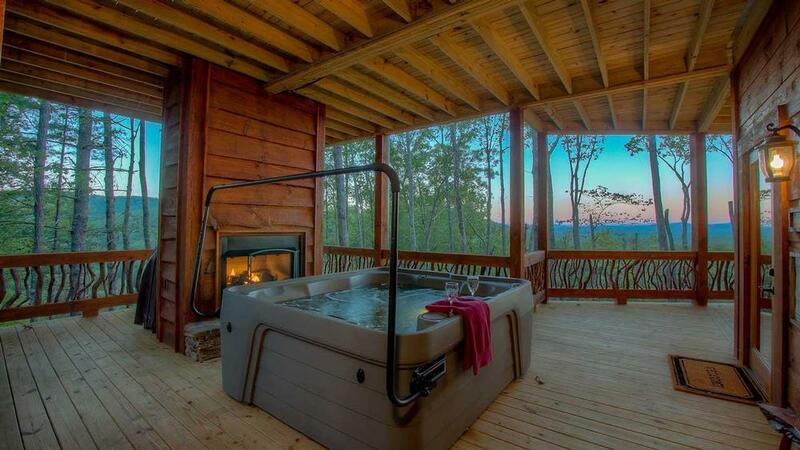 4/18 - Really enjoyed the hot tub and the upscale bathrooms/showers. First rate, been using you guys for years. 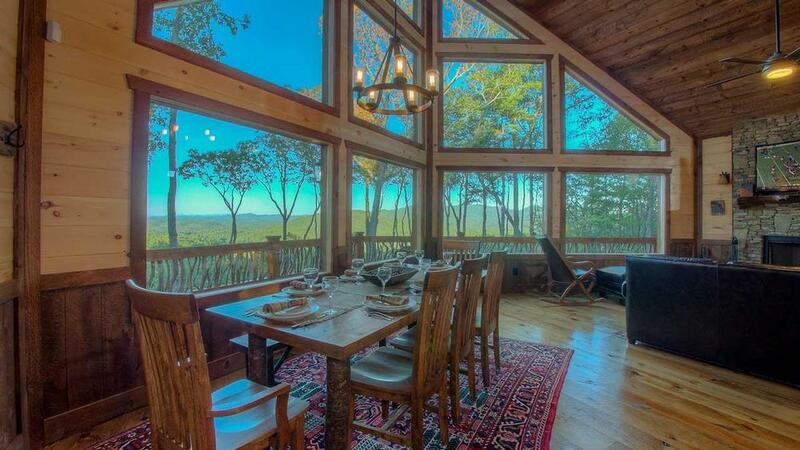 2/18 - The home was beautiful and the views were spectacular. 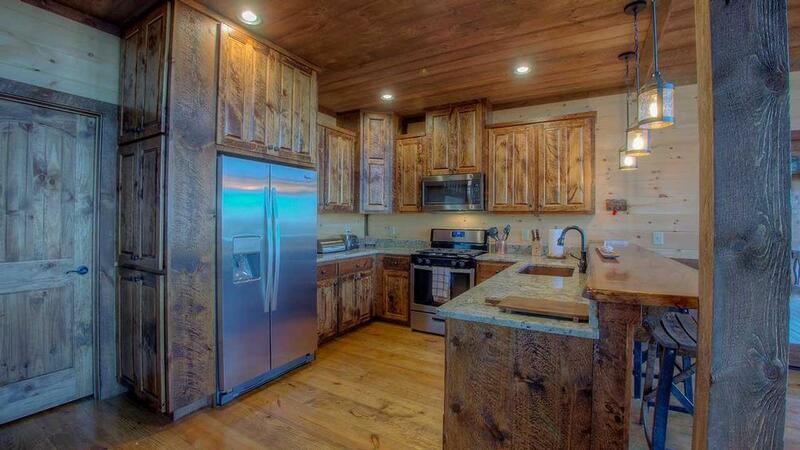 The kitchen was well stocked, which made it very comfortable for us to cook and enjoy our time as a family. Everything was perfect! 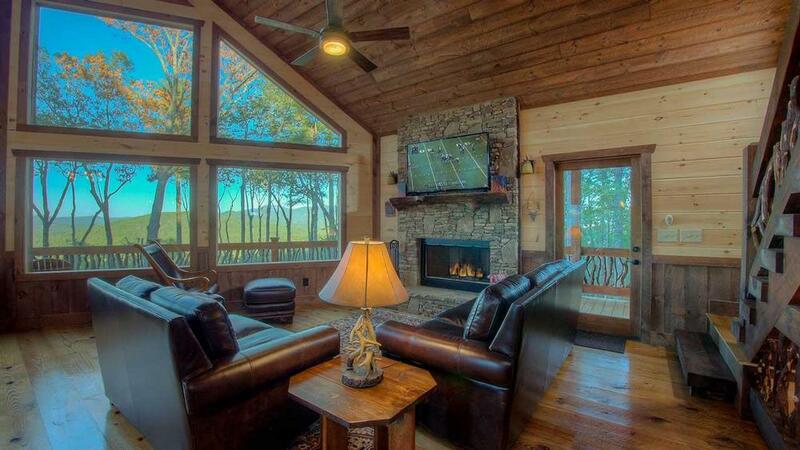 The main living room is just amazing, to sit and relax and take in the outdoors, even when the temperature or rain kept us inside. 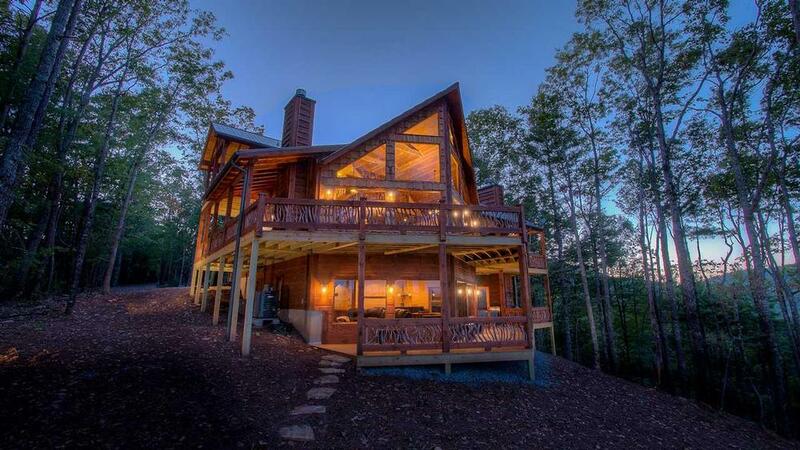 10/18 - The house is beautifully located in a prime position for a maximum mountain views. 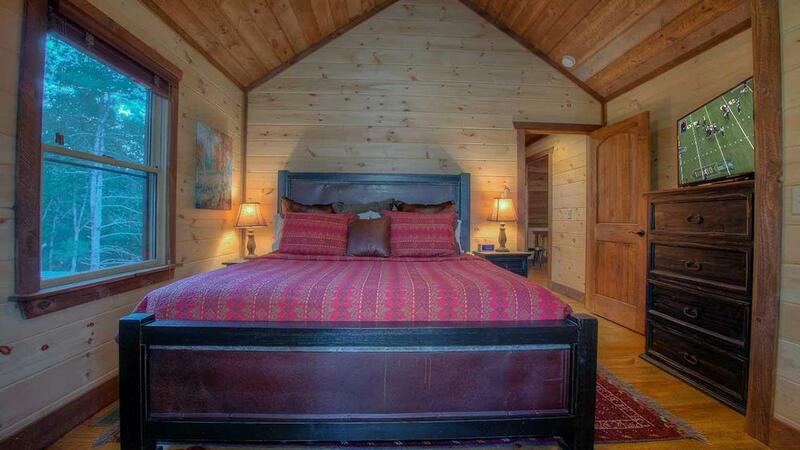 The house has beautiful appointments with very comfortable beds and the kitchen is well equipped. 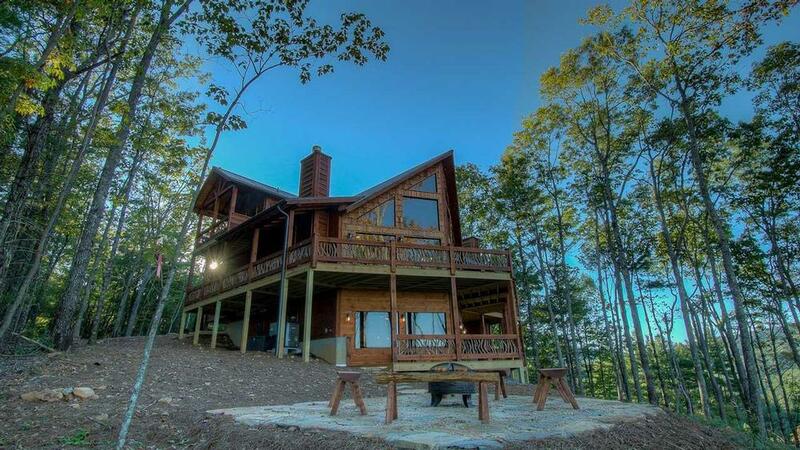 A very nice home for a Blue Ridge get away...can't say enough!